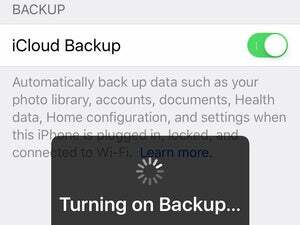 A reader wants to stop prompts on his hand-me-down computers from asking for his Apple ID instead of that of the current family member using it. Reader Craig Gorsuch writes in with a commonly asked question about OS X and Apple IDs. He notes that in his family, they pass older computers down to other members as they acquire new computers. But even removing all his identifying information, the old computer still asks for his Apple ID for updates. This issue affects my wife’s/son’s computer, my daughter’s new computer and my mother’s new computer. Is there any way to force these three computers to accept the Apple IDs of the primary operator of the computer and not my Apple ID? Is the only solution a complete reset of the hard drive and a manual copying of profile data? When Apple switched to handling routine software updates for OS X and its own applications via the App Store a few years back, it also effectively encoded the “purchaser” of OS X and the apps into the installations. Even though OS X has no charge associated, and some apps either come free and installed with a new Mac or can be installed at no cost, and updates are free, they’re still connected with the Apple ID in place at the time of the initial download. You’ll see this crop up when OS X was downloaded or updated by one user via the App Store, and another takes over the computer. Even when you log in with the new user’s Apple ID in the Mac App Store, you’re still prompted for updates or downloads using the old user’s login identity. A login prompt for a previous user might appear, but you can replace the account name for OS X updates and free downloads. However, you’ll notice that the account name field can be modified. 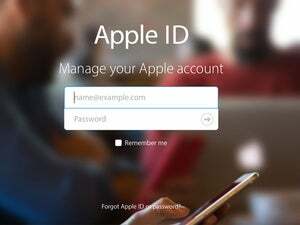 The current user can enter their legitimate Apple ID and password for OS X, free updates, and free software, and then it will be downloaded under that ID. In many cases, this will avoid a prompt that prefills the original owner’s account name in the future. For paid software, you’ll wind up having to use the buyer’s Apple ID and password forever.